If you’re looking at resurfacing any countertops in your home then stone countertops should definitely be considered. Not only is stone visually appealing, it offers numerous functional benefits that will help you enjoy your home more and increase its overall value! Not only do stone countertops themselves have great value; however, they’re often installed in high-traffic and functionally very important areas, such as the kitchen. It’s important for homeowners to recognize that beauty sells! Stone countertops are a big upgrade from more basic materials, such as laminate. Not only do they provide a modern aesthetic, but they’re one of the most durable countertop options. This means the likelihood of spending additional money on future repairs is reduced. Stone countertops have minimal chance of cracking, and their finish helps prevent liquid absorption from potential spills. Also, stone is more tolerable of intense temperature and won’t warp from objects like hot pots or utensils being placed on their surface. It is still recommended to utilize cutting boards and clothes to help protect your countertops; however, the durability is still there. Every aspect of a home plays a role in creating a pleasing home visual and this definitely includes countertops. The material chosen for use on the countertops impacts how this feature of your home will blend with the backsplash on the wall, the flooring and so much more. Stone countertops offer an aesthetic that can’t be matched by any other material. Not only do you get the patterns and colours that only nature offers; but stone countertops can also be man-made, which allows homeowners to capitalize on unique patterns and colours that don’t naturally occur. 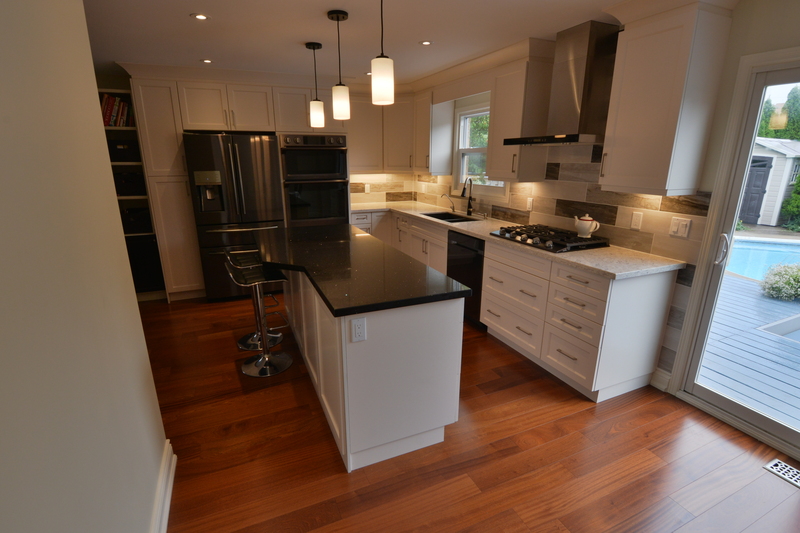 Bottom-line, stone countertops have a vast array of styles and looks to complement the vision for your space. If you’re interested in further exploring the different stone options and the unique benefits that each offer, check out our blog post: The Difference Between Marble, Granite and Quartz.